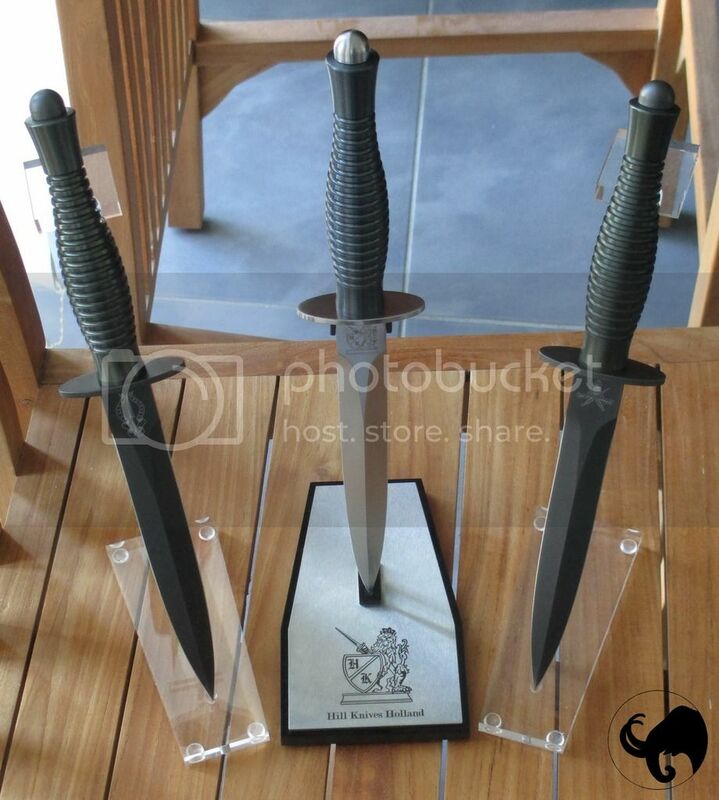 Commando daggers made by Hill Knives Holland. Berkley, seandavid55, begreen61 and 3 others like this. Hill Knives makes some pretty solid looking stuff. Blastmaster1972, crogers and Kelper like this. I've always had a soft spot in my heart for the Fairbairn–Sykes fighting knives. Nice looking collection you've got going on there. Blastmaster1972 and begreen61 like this. Blastmaster1972 and crogers like this. Excellent content AND pictures, AS ALWAYS! crogers and Blastmaster1972 like this. I just got one and really like it. The sheath is well made and the dagger is slim but not too thin.